It is imperative that IOI fullfills these reparations as fulfilment of requirements set out by Aidenvironment is key to the potential reinstatement of IOI’s RSPO certificates as the trigger for the suspension was Aidenvironment’s initial complaint against IOI. KUCHING: Following a meeting between IOI Corporation Bhd (IOI) and environmental consultant Aidenvironment, a joint statement was issued regarding reparations that IOI had agreed upon in regards to their breach of sustainability conventions by three of their Indonesian subsidiaries (SNA Group). The list of reparations involves the incorporation of key legal and environmental issues, removal of ‘overplanted’ oil palms, implementation of fire prevention and mitigation measures, rehabilitation of peat, high conservation value (HCV), and high carbon stock (HCS) areas within the SNA Group. The reparation list also included the need for IOI to continue follow up with other concerns such as the Long Teran Kanan case in Sarawak, and the development of PT Kalimantan Prima Agro Mandiri (PT KPAM) and IOI’s third-party suppliers. “We believe the statement highlights the indicators to monitor which are the progress of removal of overplanted area outcome of the verification trip and meeting in late-Aug/early-Sep, and resolution of other actions,” opined analysts with AllianceDBS Research Sdn Bhd in a report. “Resolving Aidenvironment’s complaint is also explicitily mentioned in RSPO’s letter in May 2016, where it requested for quarterly reports on IOI’s progress for 12 months,” added the research arm. However, it is unclear whether IOI’s RSPO certificates will be reinstated in the duration of the quarterly reports or after that period. IOI’s prospects in the next few financial quarters are also unclear but as several prominent clients have announced intention to begin disengaging with IOI. 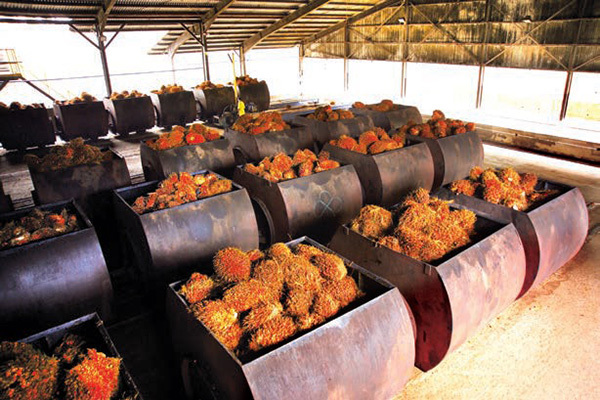 Furthermore, AllianceDBS Research’s report added that a coalition of 31 NGOs had recently urged global brands and palm oil traders to drop IOI as a supplier. “Over the next few financial quarters, we expect some impact on commercial demand to be seen. Several prominent clients have announced intention to begin disengaging with IOI; and a coalition of 31 NGOs had on 22 Jul further urged global brands and palm oil traders to drop IOI as a supplier. Due to this, the research arm maintained its ‘fully valued’ rating on IOI with a target price of RM3.60 until further developments surfaces.